Christmas is coming! Christmas is coming! I can hardly wait. Santa always brings good girls and boys presents. I wonder if he’ll bring presents to alpacas this year? I’ve been very, very good all year. Well actually since forever. Well most of the time. Well, I try real hard. But then if I ask for alfalfa I don’t have to share, will Santa think I’m naughty? And if he thinks I’m naughty, will he ignore me? Or will we bring me some stupid kale instead? I really don’t like kale, and I really don’t want kale. If he brings me kale, I won’t it eat it. So if I don’t eat it, then I’ll be naughty. So in order to be good and get my alfalfa, I have to ask for alfalfa that I’ll share, which I don’t want to do. Hmmmmm. 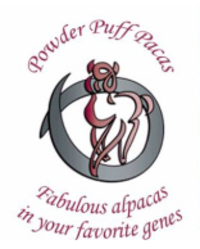 Maybe now I know why Santa doesn’t bring presents to alpacas!